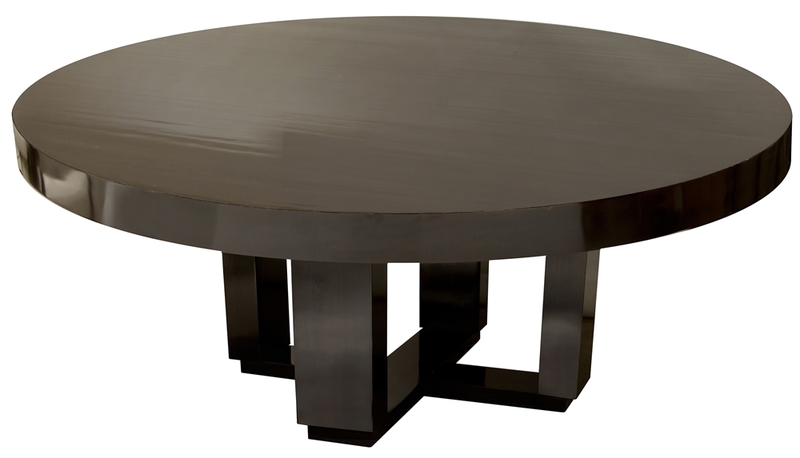 This round table features the sleek design, weight and finish of the original rectangular table, but with that intimacy that can only come in a round piece. The dark scraped Italian poly finish will last for ages and is impervious to almost any spillage. This table is shown in curly maple, and is available in plain maple as well.